Lack of racing at the moment is really frustrating. I did come across a really nifty little system though that should help you pocket a few quid. 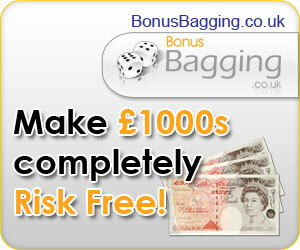 Now let me assure you that although this system involves online casinos, it is 100% RISK FREE. You will make money doing this. I personally have made over £500 from my own account, and over £400 from my partners account, all risk free. I don’t accept any casino bonuses, so there are no wagering requirements either.